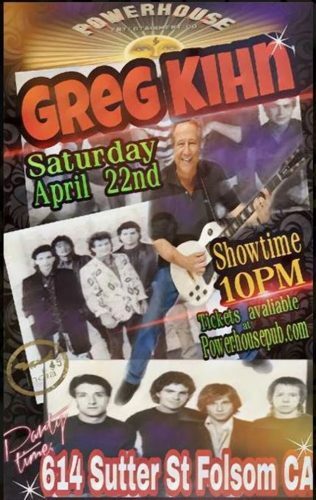 Iconic rocker, writer and radio personality Greg Kihn comes to Powerhouse Pub this Saturday April 22 for one night only. Kihn's hits include (Our love's in) Jeapardy, the Breakup Song, and Lucky. From his days on MTV to touring the world and opening for the likes of the Rolling Stones, to hosting his morning radio show, Kihn remains a true rocking icon with a strong following.